MyLooks is the premier plastic surgery clinic serving Miami, Coral Gables, Indian Creek Village, Aventura, South Beach, and Coconut Grove. Lead plastic surgeon Dr. Darryl J. Blinski is known amongst his patients for his warm professionalism and outstanding surgical skill. It’s his goal to provide stunning aesthetic results for the boost of confidence you deserve. This MyLooks clinic is situated in luxurious South Miami, serving Florida’s most elite residents. You’ll immediately feel at ease in the hands of one of Miami’s top plastic surgeons. Dr. Blinski performs breast augmentation, tummy tucks, rhinoplasty, liposuction, face lifts, eyelid surgery, and other popular procedures. 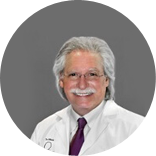 Dr. Blinksi brings over 30 years of plastic surgery experience to MyLooks Miami. After earning his degree in medicine from the University of Miami, Dr. Blinski completed residencies in general and plastic surgery. His extensive training also includes Fellowships in pediatric and cosmetic surgery, making him one of Miami’s most experienced and well-rounded plastic surgeons. He enjoys working closely with his patients to develop a relationship based on mutual trust and benefits. During patient consultations, Dr. Blinski learns more about their aesthetic goals in order to create a custom plan centered on their satisfaction. Call Plastic Surgery Portal now or fill out a contact form to book a free consultation with Dr. Blinski at MyLooks in Miami. Dr. Blinski looks forward to meeting patients from all over the greater Miami area, including Aventura, South Beach, Coconut Grove, Aventura, Coral Gables, and Indian Creek Village. During your consultation, you’ll have the opportunity to discuss your potential Mommy Makeover or facial implant surgery with Dr. Blinski.